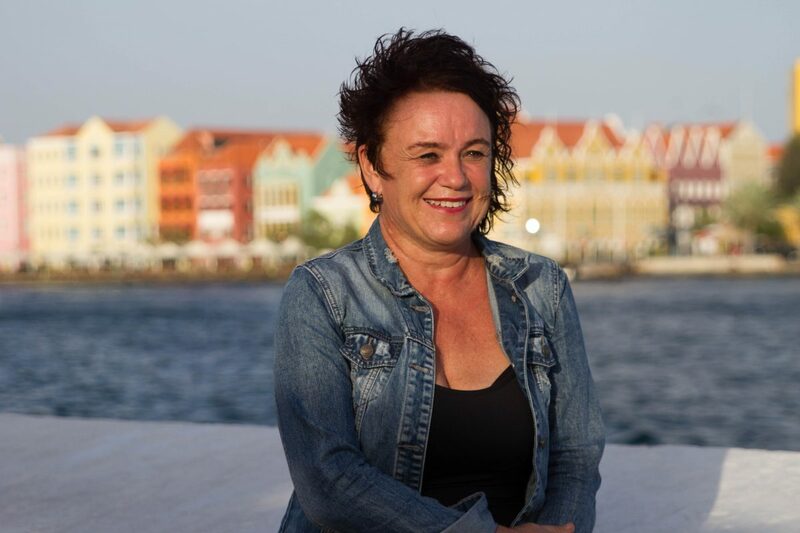 ”I live in Curacao since 2000, I am a single mom and very happy with my daughter Megan. I lived for a couple of years next to Serena’s Art Factory and was a salesperson for Chichi’s in a shop in Riffort. I know that the people who buy the Chichi like the story behind the sculpture, the social aspect of the company , they want to met Serena and they are interested to know painted their Chichi. I started painting Chichi’s by myself mainly red with white dots because people love them and asked for them in the collection. I personality love and black and white/zebra print a lot so I added them to my design list . Sometimes there was no space in mine live for painting, but I am very happy that Serena always support me to try to pick up the painting again. And now I know that painting Chichi’s is not only nice to do but it helps me to get my mind free.